International TableTop Day 2016! This year’s 12 games! It’s our 4th International TableTop Day! We have spent each year of this event by recommending 12 games before, so here’s our games from 2013, 2014, and 2015. But it’s 12 whole different games for this year, so you can see all those after the jump. A couple of words about each, and if you have any questions, you’ll find some TableTop videos or you can ask us questions in the comments! How do you do a roleplaying game via YouTube? Titansgrave. 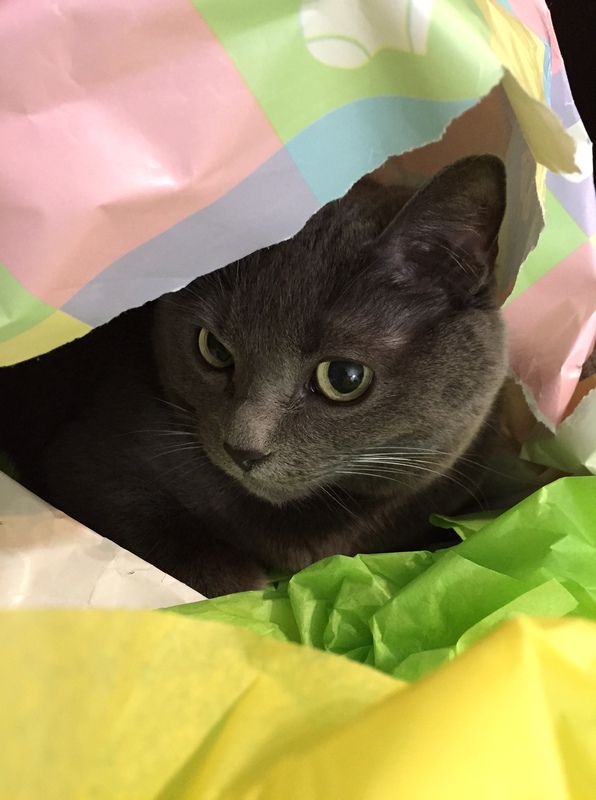 We’ve been watching things from Geek & Sundry since before this blog started. We’ve been watching TableTop since the beginning. And we’ve listened to some of Wil Wheaton’s explanation as to why there are some games that are just harder to do on the show. Which generally included Roleplaying Games, although they’ve done several multi-part episodes to show a little bit of roleplaying (and are in fact in the middle of doing so right now). But it’s hard to do – there’s a lot of thinking, and inside jokes, and imagination, and not a lot to show. Not without a lot of work. All of which seems to be a problem they have done a lot to solve. They’ve created a new show, which I’m surprised Holly and I didn’t run and share immediately. But some of it is that it’s sucked us in more, week after week. It’s good. We care about the characters at this point – and you can tell the players do. And one of the best things that happens is Wil Wheaton gets the players to flesh out the small details of the world. The show is called Titansgrave: The Ashes of Valkana, and it’s amazing. It’s ten episodes in now, and episode nine was particularly harrowing. Not that I suggest starting there: no no, start early. For fun, for glory. For five gold and a party. Here’s the show in playlist form, starting with the introduction to the world! Recently, my wife and I were over for dinner with friends, and we decided to play a game of Munchkin Cthulhu. Our friends’ names are Chooch and Viv; I’m telling you this to make this anecdote flow. Allegedly. At least one of those names is definitely a nickname. That would be Viv. Chooch might be a nickname. He looks like a Viking, so let’s just roll with this, shall we? Everyone here knows how to play the basic set of Munchkin, right? If not, for a full introduction please check out Wil Wheaton’s YouTube episode of TableTop, where Wil plays the game with the lovely Felicia Day, the lovely Sandeep Parikh, and the legendary Steve Jackson – the creator of Munchkin. If you don’t have 28 minutes to spare, I’ll give a super high level breakdown. It’s as if you were playing a game of Dungeons & Dragons (or the equivalent) but without a map or character sheet. Everyone starts at level 1. 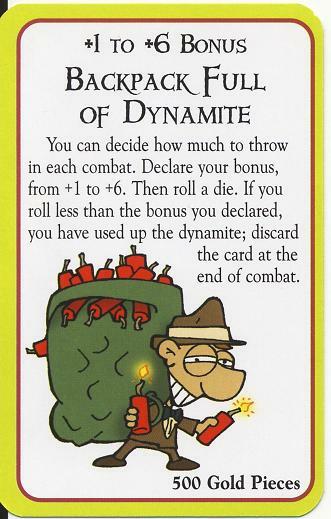 Each turn someone kicks down a door in a dungeon (not literally, a “door” card gets turned over and then the player might fight a monster.) Winning fights against monsters results in gaining combat levels and treasures for the player. First person to level 10 wins. Often, everyone else in the game tries to prevent this from happening. We were playing the Cthulhu version of the game (Munchkin comes in many many different genre versions) so we weren’t elves or dwarves, fighters or wizards. This was Lovecraftian. (I hope I don’t have to explain Lovecraft or his literary creation, Cthulhu.) 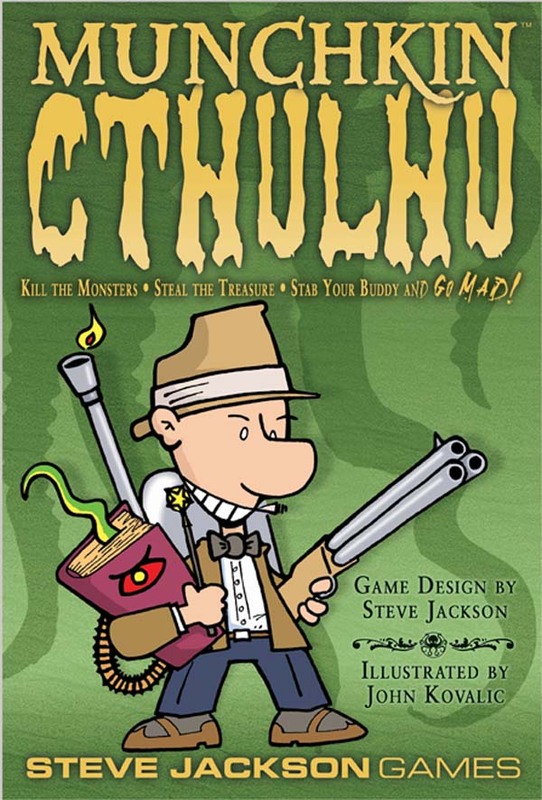 This version of the game includes 1920’s tommy guns, mystical tomes, and tentacles. 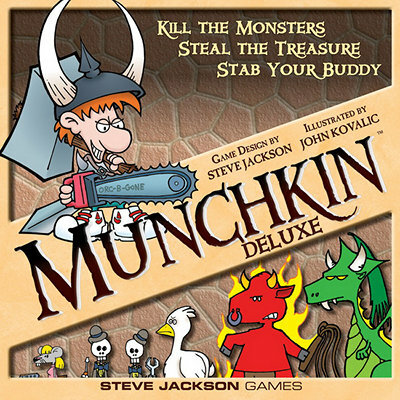 The particular gaming session with our friends was a typical Munchkin run: some easy fights, some empty rooms, some running away from Things Men Were Not Supposed To Know, some team-ups when it was mutually beneficial, and many occasions of trying to make the current player’s combats go badly. We didn’t realize what effect this would have at the end. We cultists were just happy to have a +4 combat bonus. It was Chooch’s turn, and when “kicking open the door” to start his turn, he opted to play a monster from his hand to fight. This wasn’t some easy creature. This monster was Cthulhu. But if Chooch could not defeat Cthulhu, and was caught by the big bad… he’d be killed and his new character would be a cultist. 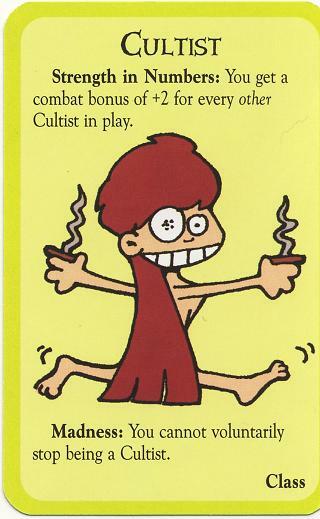 That would make everyone a cultist. 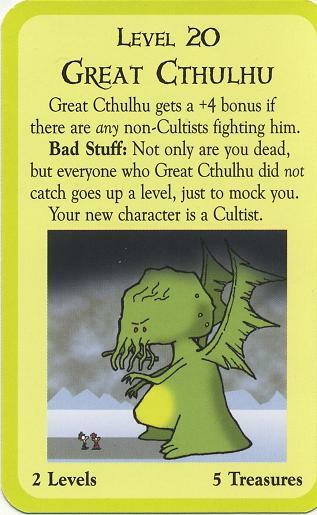 Munchkin Cthulhu has a rule, if all players end up being cultists, all the players lose and the Great Old Ones (or Elder Gods, one of those) win. Things suddenly got weird. And familiar. 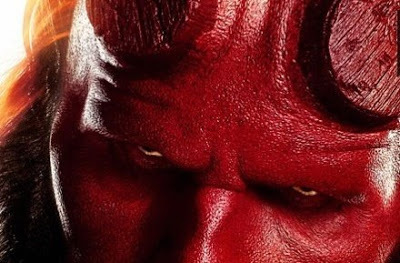 I’d recently re-watched the first Hellboy movie, starring Ron Perlman as the eponymous demon with a heart of gold and a fist of stone. The movie’s been out forever, so if you’ve not seen it, I apologize for spoiling the ending where the good guys win. 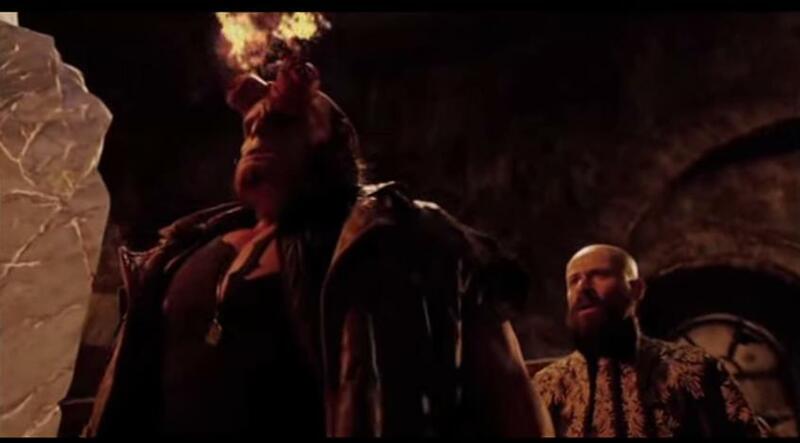 The climax of Hellboy centers around the mad monk Rasputin planning on summoning something equivalent to Lovecraft’s Elder Gods (or Great Old Ones, I don’t want to split hairs.) He’s assisted by some crazed Nazis (as if there are any other kind) and has some leverage over Hellboy which serves to ensure compliance and assistance from the big red devil. Hellboy eventually turns the tables, the summoners are all killed, but there’s a complication. 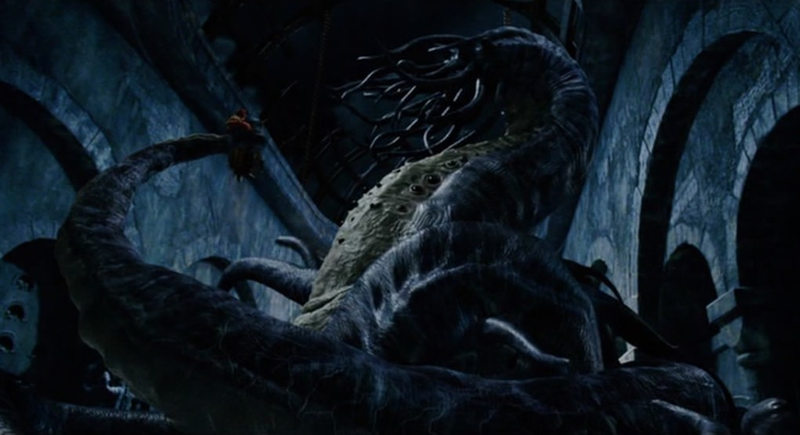 Hellboy has inadvertently caused the materialization of a huge, tentacled, rapidly-growing creature. That can’t be good. Just like Chooch choosing to play Cthulhu in a bid to win the game or have everyone lose. To deal with this growing threat, Hellboy allowed the nightmare to swallow him along with the belt of grenades he was carrying. BOOM! Game over. Good guys win. And this is why I like to play games. For all of the reasons that were outlined in the beginning, but also I like being told a story. In ye olde dayes, my dad would eye me skeptically as I was graphing out a dungeon to be a setting for the weekend Dungeons & Dragons game with my buddies. My dad did like games and he liked playing games with me. Provided that game was Chess. His view of my awkward teenage chums and me rolling a lot of dice was this: random chance wasn’t interesting or worthwhile. There was nothing skillful about it. I didn’t have a good grasp at the time on why I enjoyed playing D & D so much and so I didn’t have a good counter-argument for my pop, but now in my wizened and enlightened adulthood, I realize that I wasn’t gaming as an exercise of skill or competition or just to waste time. I was in it for the moments of storytelling. And even though the particular story being told to me by the events of Munchkin was a story I already I knew (i.e. the climactic plot of Hellboy) it doesn’t change the fact that my imagination was being engaged. 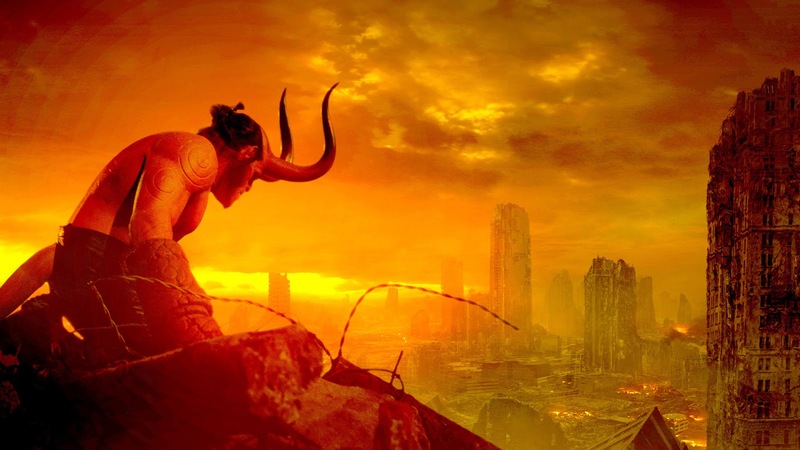 I feel that I could have appreciated the story of Chooch, with his backpack of dynamite, fighting an eldritch horror with the fate of the world on the line, regardless of if I’d seen Hellboy or not. This probably isn’t world-shattering news to anyone. I assume anyone reading this has had similar experiences where the turn of a card or the roll of a die has the emotional echo of a good book’s plot twist or a movie’s big reveal. I’m sure we all have similar stories to tell. This post was written by Patrick Sponaugle, who couldn’t possibly be wrong all the time. Hey, do you like Game of Thrones? Pat is my go-to Game of Thrones blogger. Hey, did you like this post? Also a great reason to check out his blog! Oh, and leave your stories to tell in the comments below! International TableTop Day 2015 Game Recommendations! It’s that time again – International TableTop Day! This event started the same year that we started Comparative Geeks, and we started an annual tradition of the 12 Days of TableTop Day. We featured 12 games over 12 days before the big day – so at this point, there are 36 games we have recommended for play today! If you missed this year’s game recommendations, you can find all of them on our Instagram – or you can read on after the jump for a bit more about each game! Hopefully today finds you playing one of these or many other games, together with old friends or new friends. You can find events near you on their website. In the words of Wil Wheaton – play more games! Over the next few months we are going to have a couple of things that will be a little bit different, so wanted to give a heads up about what will be happening. First of all, next month we will be participating in the A to Z challenge. We will be posting shorter posts 6 days a week covering topics on Science Fiction Today from A to Z. This will take us through the entire month of April. Something else that we will be starting Monday is our countdown to International Tabletop Day on April 11. The countdown will be happening on the Comparative Geeks Instagram this year. We will be highlighting one game a day counting down to April 11 where we will put up a post with all of the games highlighted on Instagram. Finally, the big thing is that starting some time in May we will be having a time of mostly guest posts. Geek Baby is due in May and therefore David and I will be a bit preoccupied for a while. Thank you to all the bloggers who are writing guest posts for us during that time it is a huge help to let us continue the blog during a hectic time. That is basically everything. Hope you enjoy the A to Z posts, look out for the countdown to Tabletop Day on Instagram, and look out for some great guest posts in May!